For over 5 years, our company has been helping thousands of people who are struggling to get out of their payday loan debts. These are people who can’t manage their debts, can’t repay all the fees and rates on time and they lead a frustrating and stressful life. They have to deal with high credit card balances, mortgages or debt for medical treatment. There is always a way out – take out a debt consolidation loan. 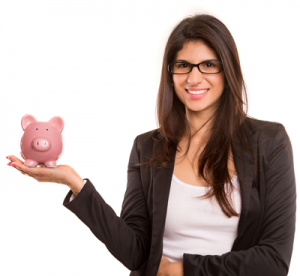 This kind of loan provides tremendous help to all debtors with unmanageable debt. Of course, borrowers should be careful as working with an illegal loan consolidation may get you into even more serious financial problems. This is why we’ve decided to share some common questions about loan consolidation to provide you with tips on what you should keep in mind so you don’t get scammed. Payday loans consolidation – how does it work? Payday Loan Consolidation – How does it work? Payday loan consolidation combines all existing payday loans that you have already taken and convert them into a single loan. It should be noted that this consolidation loan is not a new one – it only consolidates the existing ones into one payment. This new payment will amount to around 50 to 75 % less than the combined amount of your existing loans. The debt consolidation loan is a financial instrument used to provide repayment for your current debts by combining them into one debt with a new interest rate, minimizing both the number of the bills and the interest rate you are obliged to repay. Usually, these consolidated loans are unsecured and are based only on your promise to repay. Of course, there are companies that will offer you secured loans which are guaranteed with a valuable asset such as a house, a car, smaller possessions, bank accounts or insurance policies in your name. Would payday loan consolidation companies take control of my money? The answer to this question is most certainly no – we won’t take hold of your money. This means that as soon as you pay us, we will pay your lenders. However, bear in mind that there are other companies out there and some of them might hold your money for up to 3 months without making any payment to your lenders. This way, they pay themselves first, not your creditors. This is not only a bad business practice, it can also get you into more serious financial problems with your lenders. 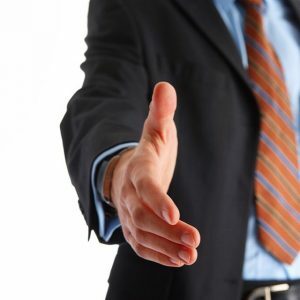 How to recognize legitimate loans consolidation company? This is the most important question that the potential client should ask himself and check the consolidation company’s legitimacy. A legitimate payday loan consolidation companies won’t take hold of your money – this is the first sign of business honesty. The second sign of honesty is whether the debt consolidation loan provider would actually take over your existing loans. This means that the company name will stand on your loan documentation. A scam company most certainly won’t do that. The reason for taking over your loans is that we become the loan holder and your former lenders will now have to deal with us. In case you decide to not make the necessary payments to our company, the contract between you and us becomes null and will void automatically. This means that we become the sole loan holder and thus free ourselves from any further payments to your lenders. In other words, you’re back to where you were at the beginning and have to deal with your lenders all by yourself. Is it necessary to close my bank account? Another important question with a simple answer – no it isn’t. All you need to do is to go to your bank branch and ask to cease the automatic payments from your account towards your lenders. Discontinuing them would not affect your account in any other way. This means that if you have automatic deposits or other automated payments, they will not be affected. 90% of our clients stop the auto withdrawal while the other 10% simply close their accounts, but this is not necessary. Keep in mind that closing a bank account may have a negative impact on your credit history, so it is better not to do this. The reason behind this is that your lenders would be unable to continue taking payments from your account while accepting payments from us. The fees depend on the individual payday loan debt situation of every client. This means that the fees may vary based on the various debt amounts. When our client requests a free quotation, he will be provided with our fee which is calculated based on his personal financial situation. How do you collect your fee? We collect our fees through the payments you make after enrolling into our payday loan consolidation program. For example, the first payment you make to us is our fee. Afterwards, we will make the first payment to your lenders and from then on, every payment goes to your lenders until your payday loan debt is completely cleared. What is the payment schedule for paying off my debt? The payment schedule depends on the total amount of your debt. Based on the debt level, your payment schedule may be 6, 12 or 18 months. Once enrolled in our consolidation program, it is up to you to decide when you prefer the repayment procedure to start. For example, as the first payment is our fee, you are the one who has to tell us when to take this payment out of your account. Afterwards, you have to define the exact date within the next 2 weeks when you would like to start making your regular payments to us so that we can pay your debtors. What should I do if a company is giving me doubtful advice? If you interact with a company that insisted or advised you to take doubtful actions that are not completely clear to you, you should reconsider your financial relations with that company. For example, they may ask you to discontinue the repayment of your debt to save that money for opening a trust account for them. In that case, you should stop being their client and bear in mind that you should only trust reputable companies. 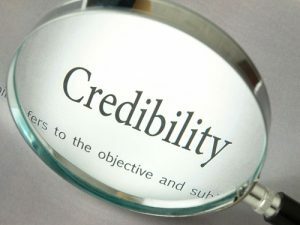 Do not forget to always check the credibility of your potential lender. Never approach institutions that have doubtful past with clients’ complaints or legal prosecution. Remember that the market is large and there is always an alternative consolidation loan provider out there. What actions should I take in case a company is asking for too much personal information before working with me? If your potential lending company is asking for unnecessary information like a social security number, account details or some other personal data, you should reconsider your decision to work with them. As said before – it is a large market and there are a lot of good consolidation companies to work with. A debt consolidation company does not need to know all your information prior to providing you with their loan consolidation services. There are only a couple of basic details about your debt that are necessary for your lending company to know. Those are the total amount of the money you owe and the full list of your current creditors. Do I need to pay an upfront fee for a consolidation service? Bear in mind that upfront fees are not mandatory and if a company asks for a very high upfront fee for their service, you should simply move on to the next consolidation loan provider. No legitimate company would ask their clients for an upfront fee. It is common that they provide you with their services first. Hopefully, this article has answered the most important questions that you may have about payday loan consolidation. Nevertheless, if you need a debt consolidation loan and have any other questions, please do not hesitate to contact us by email or call 800-522-9222.